We talked with Rafael Kusmider, CEO at dhosting.com - new exciting startup created by web hosting industry experts. HOSTSEARCH: Hello there and thank you for being with us today. Can you please introduce yourself and your company dhosting.com? RAFAEL KUSMIDER: Hi, thanks for this opportunity, it's nice to be here. I started my adventure with the web hosting industry quite young, still being a teenager at the time. It all started with my passion for building computer networks and programming. From the beginning I was curious how it all works and spent every spare moment on expanding knowledge in these subjects. Creating networks, building software and solving problems associated with them to this day gives me a lot of fun, but also has become an important business. As a CEO I am involved in pretty much every aspect of my company's operation, from product developing, management up to the marketing strategies and negotiations with business partners. So a lot is happening, but it also gives me a lot of energy to create cool things that my clients will benefit from in the future. In simple words, dhosting.com was created to solve the problem of complicated choice and to breathe new life into a market that is quite generic and, to be fair, really boring. That is why we have created one product, the Dynamic Edge, which is the result of our experience and frustration with the current state of the industry. HOSTSEARCH: dhosting.com has recently entered a very competitive market. What would you consider as your main strengths to compete with others? RAFAEL KUSMIDER: First of all, we make life easier for our clients. It is important to us that they can focus on the development of their business and do not have to think about how their hosting service works. It has to work in the background and not disturb. This is what we have achieved thanks to our proprietary solutions and algorithms that automatically adapt the service to the current needs of the user. Everything works very fast regardless of the website traffic and the complexity of the project. Most importantly, also the costs are not so high compared to other solutions on the market. HOSTSEARCH: Could you give us an overview of dhosting.com's products? RAFAEL KUSMIDER: Actually, the whole idea is not to have products, but the product, only one product. It was very important to us that the client would not feel overwhelmed by the choice he had to make. Have you ever wondered what kind of milk to choose, because there was so much to choose from on the shelf? That's what we wanted to avoid. 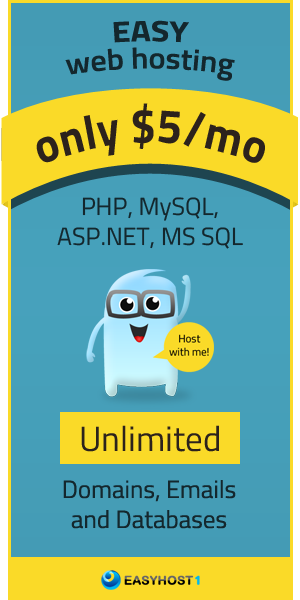 We do not want the client to choose between a dedicated server, VPS, shared or cloud. In addition, each of these solutions offers their packages and suddenly you have to choose between many many options. You came for a solution that would meet your expectations, but you do not always know what that expectations are. It would be nice if you did not have to think about it. And that's how the Dynamic Edge came about, as a remedy for these problems. HOSTSEARCH: Sounds interesting, so tell us more about “Dynamic Edge”. RAFAEL KUSMIDER: If I had to summarize in one sentence Dynamic Edge, I would say "Always open". Imagine that you run a small store. On a daily basis there are few people there, regular customers, the traffic is not big, but one day you have a promotion that attracts 10x as many customers to your store as usual. Your store is not able to accommodate such a large influx of customers and comes to a situation in which you are forced to close it. Instead of earning, you lose money. With the online store it is similar. With heavy traffic your store or website may stop working because the server will not be able to handle it, and before you buy another solution, it may be too late. That's why, thanks to Dynamic Edge, your store will be always open, regardless of the traffic it need to handle. Dynamic Edge combines the advantages of cloud computing, VPS and shared hosting. You can even say that it is an easy to use cloud. For $195 per year offer consists of the initial package, that is 1 GHz, 1 GB of RAM and 50 GB of SSD. If the client needs more resources, eg in the period of increased traffic, he is billed for what he actually uses (pay-per-use). In this way, the customer has access to virtually unlimited resources, but still has better control over costs and saves a lot compared to other solutions. An important part of our offer is dPanel, a control panel, which is a tribute to minimalism and simplicity, and built for users not only administrators, with a UX in mind. Almost every other hosting company uses cPanel to support their platform, which is ugly, clumsy and has many difficulties especially for less advanced users. Ease of use without sacrificing functionality was our goal. By the way, we prove that the functionality can go hand in hand with a beautiful user interface. HOSTSEARCH: You mentions about dPanel. Can you tell us more about it? RAFAEL KUSMIDER: Sure. dPanel is the culmination of many years of experience and problem solving for the hosting industry. We wanted something easy to use, nice and functional at the same time. In our panel you will find everything you need to efficiently manage your hosting account, but in a pleasant form. Using dPanel gives you joy. Seriously! You must try it yourself, it is difficult to explain it with words. One of the most important elements is the preview of the current use of resources. They are shown by eye-pleasing, colorful charts. We've also created a separate section that helps you manage your costs. You are able to specify for yourself the max amount you want to pay monthly, or set your own parameter limits to not exceed some previously assumed values. There is also an application installer that can install several popular applications with one click. Simple and pleasant. With one click you can also run for your site support for Cloudflare or add a free certificate, and much much more! HOSTSEARCH: What are the benefits of ordering your SSL certificate? RAFAEL KUSMIDER: In our dPanel, you can use the application autoinstaller and, for example, install Wordpress. With the installation right away, you automatically generate a free SSL Let's Encrypt certificate. We also have integration with Cloudflare, then the free certificate will also be generated. The user basically does not have to do anything. Of course we also have an offer for paid certificates, the main advantage is the guarantee provided by the certificate issuer, which is not provided by free certificates. Paid certificates, depending on the type, also have a better impact on the trust of potential customers, such as an online store. HOSTSEARCH: Can you please explain the Individual strategy? What are the advantages to the customers using Dynamic Edge? RAFAEL KUSMIDER: The most important advantage of Dynamic Edge is to provide customers with peace of mind and the possibility of unfettered development of their projects with the ability to easily control costs. The service grows with the customer's business. The limit here is practically only the imagination, nothing more. RAFAEL KUSMIDER: We are working on intelligent algorithms that will help clients solve basic and more advanced problems with their websites. Already, we offer solutions that examine user needs in terms of resources used. We can anticipate their needs in advance and the potential costs it will incur. This facilitates better planning of future expenses. The best-performing hosting is one that you can forget about only focusing on developing your business. It should simply work, preferably unnoticed, in the background and for you. Already now we are practically doing it, but there are still a few elements of the puzzle that we have to take care of in order to reach our destination successfully and with a smile on our faces. 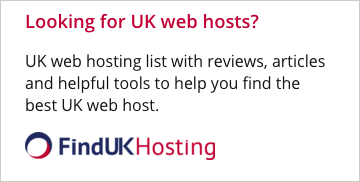 HOSTSEARCH: That will be all for our questions, thanks very much for your time today! RAFAEL KUSMIDER: Thank you for the interview, it was a pleasure!